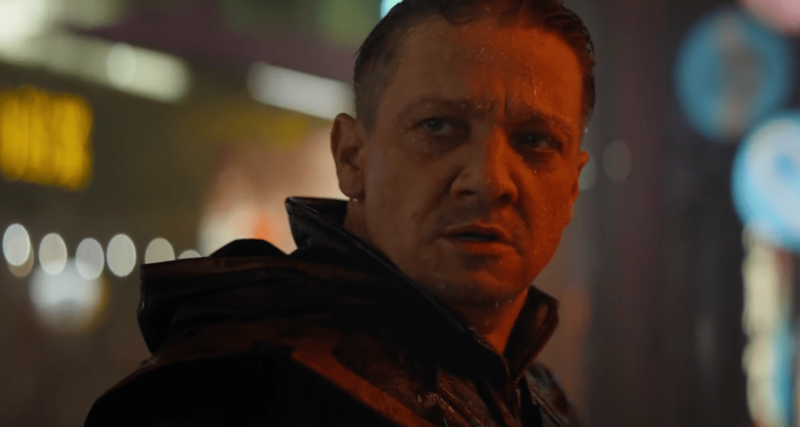 What is this new sword wielding identity for Hawkeye in Avengers: Endgame? – AiPT! Hawkeye has returned with a new persona: Ronin. The day millions of Marvel Cinematic Universe fans have been waiting for has finally arrived. Today, Marvel and the Russo Brothers revealed the first trailer for the long-awaited and now officially titled Avengers: Endgame. There’s a lot in the two minutes and twenty-five seconds trailer to get excited about. And while the Avengers’ journey may be coming to an end, there’s one man starting a new beginning: Clint Barton, aka Hawkeye, has returned and he’s not the man he used to be — he’s Ronin. But before we can talk about Ronin, let’s start from the beginning with Clint Barton. Hawkeye was first introduced to the MCU as a special agent of S.H.I.E.L.D., where he worked alongside Natasha Romanoff, aka Black Widow. Having helped recruit Natasha to the clandestine spy organization, the two S.H.I.E.L.D. agents formed a close professional and personal relationship. Under the direction of Nick Fury, Clint fought alongside the Avengers against Loki during the Chitauri Invasion of Earth. The Avengers hid out at the archer’s home during the events of Avengers: Age of Ultron, and it was there that the rest of the team learned of his family. Later, Hawkeye assisted Captain America and his fellow outlaw Avengers during Captain America: Civil War, and because of that was placed under house arrest, which in turn led to his retirement from S.H.I.E.L.D. and the Avengers. While Hawkeye was briefly mentioned during Avengers: Infinity War, he didn’t make an appearance. Which brings us to now. Hawkeye has seemingly become a katana-wielding ninja warrior Ronin. But wait, who’s Ronin? In the comics, Clint Barton was killed during the events of Avengers Disassembled, where a mentally unstable Scarlet Witch used her reality-bending powers to cause a number of catastrophes. The following event, House of M, delivered a world remade by the Scarlet Witch with mutants ruling the country and most of the planet. During this event Clint was resurrected and chose to become Ronin, forgoing his identity as Hawkeye. As Ronin, Clint joined the Secret Avengers and became a vigilante while the Superhero Registration Act was in place. During that time he fought against Norman Osborn’s “Dark Avengers” and later battled the Skrulls during the Secret Invasion event, assisting in the final battle which saved the Earth. Trauma led to Clint Barton of the Marvel Comics universe becoming Ronin, and it’s quite likely that another traumatic event has led to the MCU Clint Barton doing the same. The most logical guess being Thanos’ snap, which almost certainly affected the Barton family. Fifty-fifty aren’t good odds when the stakes are the lives of your family members. Do you think this is what happened to turn Hawkeye into Ronin? Let us know in the comments below.